Updated 12:15 PM, Friday, November 21. Mike Nichols, the celebrated director whose career spanned Hollywood to Broadway and beyond, died in New York City Wednesday night of a heart attack. He was 83. Mr. Nichols, with his wife, Diane Sawyer, former anchor of ABC News, were longtime seasonal residents of Martha’s Vineyard. The couple were married on the Island in 1988, and in 1995 purchased Chip Chop, the former home of actress Katharine Cornell, located overlooking Vineyard Sound on the west side of the entrance to Lake Tashmoo. Mr. Nichols was known for his generous participation in Island charitable causes, including the Possible Dreams Auction to benefit Martha’s Vineyard Community Services. He was involved in the local arts community, and was a supporter of the Martha’s Vineyard Playhouse and the Martha’s Vineyard Film Society. Last summer, Mr. Nichols hosted a special screening of “The Graduate,” the 1967 film for which he won an Oscar, at the Martha’s Vineyard Film Center. Mr. Paradise remembers the legendary film and stage director as a man whose humanity showed in his work, as well as his private life. 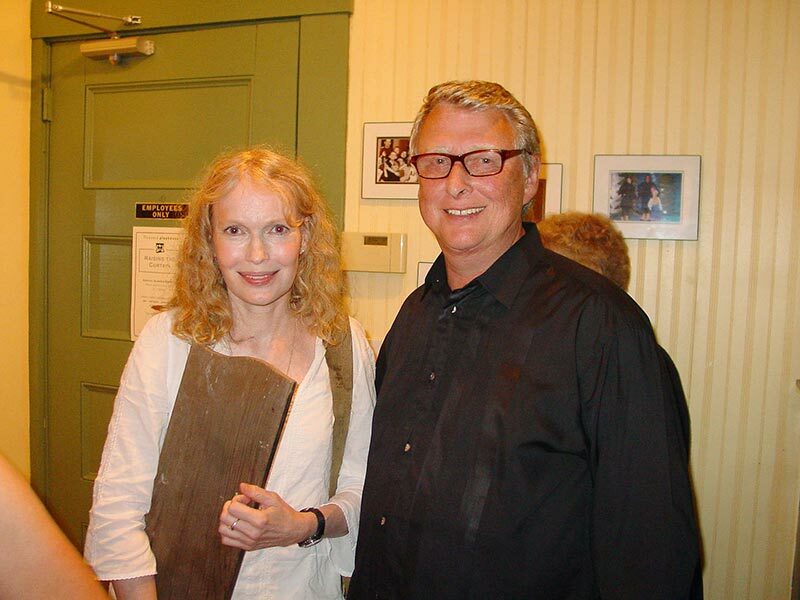 MJ Bruder Munafo, artistic and executive director of the Martha’s Vineyard Playhouse, said Mr. Nichols and Ms. Sawyer attended several productions at the playhouse, often with their friends William and Rose Styron. She said Mr. Nichols was also generous with donations to the nonprofit theater. While he liked to keep his visits low-key, Ms. Bruder Munafo said, Mr. Nichols was very approachable and open. The Nichols and Styron families were close friends for more than 50 years. Writer and educator Alexandra Styron, the daughter of William and Rose Styron, has fond memories of growing up with Mr. Nichols, who was a frequent houseguest at her parent’s West Chop home. As she grew into adulthood, Mr. Nichols was a mentor. According to an obituary in the New York Times, as a young child Mr. Nichols fled with his family from Nazi Germany shortly before World War II and settled in New York. After a difficult childhood, he found his calling in comedy and theater, joining a Chicago theater troupe which eventually became the famed Second City group. While he began as a performer, he soon moved to directing, where he earned acclaim for working with actors to draw out their best performances. He was one of only a handful of people to win an Oscar, an Emmy, a Tony, and a Grammy. He was a Kennedy Center Honors recipient, and was also honored with a National Medal of Arts, the highest honor given to performers by the U.S. government. In addition to his wife, Ms. Sawyer, Mr. Nichols is survived by two daughters, Daisy and Jenny, and a son, Max. He is also survived by a brother, Bob Nichols, and four grandchildren. This story has been updated to reflect the addition of quotes from MJ Bruder-Munafo and Alexandra Styron.